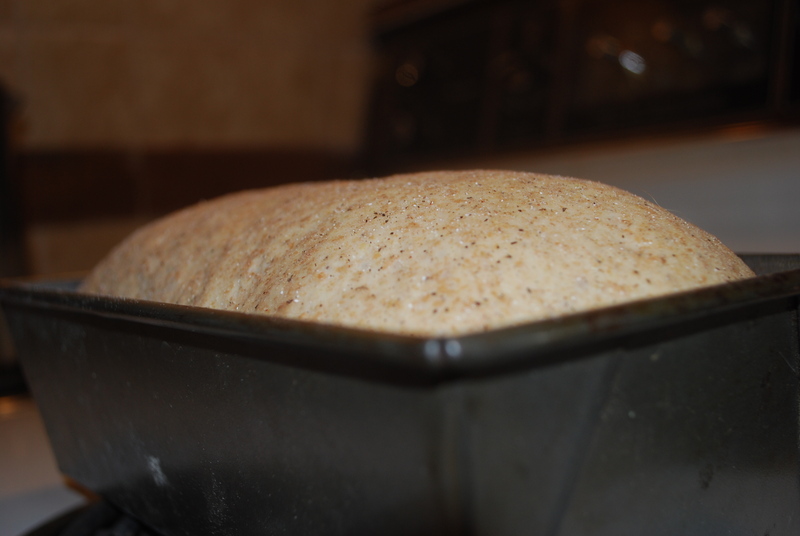 After watching Espe Brown’s movie “How to Cook Your Life,” I had an urge to bake bread. This was a somewhat safer urge to indulge than the one I tend to have after watching superhero dog survivor movies. But bread making requires effort akin to the great effort of Zen; and yet Espe Brown made it look and sound like the ultimate in cultivated laziness. Now I get all the be one with the carrot and the spinach rap of Zen. I do. Really. I even get the drink your tea even if it’s just a riff on the sentiment because I’m doing so while pounding out the next blogpost. And I know about bread baking too having spent many a year baking two, three, many loaves each weekend. The dharma of bread making is that there are no guarantees. It thrives on doubt. Great Doubt. It is fickle in its liturgy. Empty yet demanding of form. Demanding of protocol yet unyielding in promises of outcome. It is not for the rigid of mind or acolyte of scrupulosity. And that makes me the worst person on earth for this practice. However, great effort is often codependent with great blindness and sometimes the delusion of possibilities pays off. In one of his teaching moments, Espe Brown said, “Let things come to your heart.” And when I do, it’s clear that bread making is not about bread or making. It is about distress tolerance. 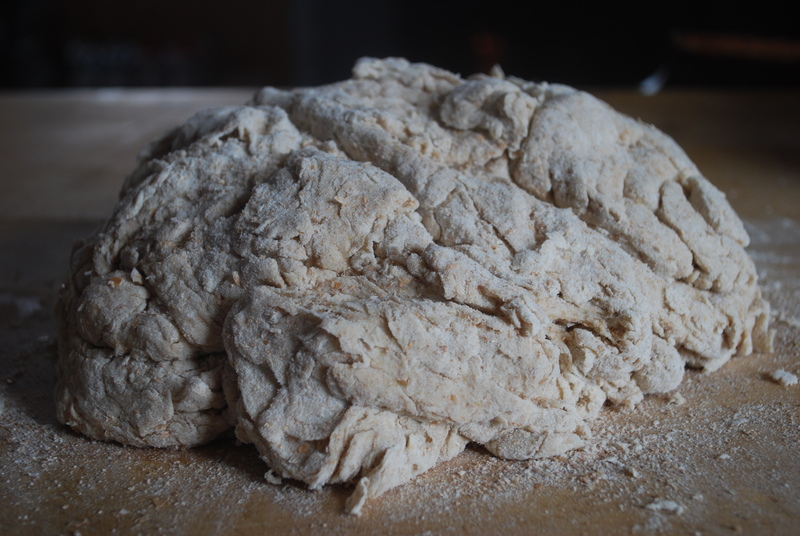 At each stage, from the way in which yeast feasts on the sugars to that tender balance between elasticity and collapse of the dough, creating the loaf-to-be is only about trusting the invisible bodhisattvas of gluten and fermentation more than the demons of fear and desire. It is about letting things go into the dark and do just what they are meant to do without the interference that arises from our desperation to have it done. Letting go, yes. Not clinging, definitely. And yet. We are not given to truly know the essence of these transitions. The first round of bread making resulted in a stunted, thick loaf that only Frank, in his endearing love of all things carbohydrate, would relish. Heavy chunks of glutinous wheat with a savoury buckwheat bite make his morning (and I don’t doubt he dips it in his high-octane coffee). It may have been the temperature, the thundering hooves of two playful puppies, the arch of my eyebrow, the waves of panic energy that seeped from my palms into the dough as I kneaded it. Not knowing is the most intimate, Dizang said. I wonder if he baked bread too. The second loaf was more generous in its response. Then again, I adjusted the parameters. A different recipe from a different book, a few breaths reminding me of my capabilities, more wood in the wood stove, and taking the pups for a 1 hour walk so I didn’t keep checking the proofing of life in the dough. We can put all the ingredients together when cooking our life. We can stir, beat, fold, and knead them into some shape. We can read each expansion and contraction for portents of praise or blame. We can entrust the clusters of our life to the dark and the light. We can hold them in boxed forms or freeform. We can blast them in furnaces or freeze them for some future date. But we can never really know until we break them open and let them penetrate deep into our heart. This entry was posted in reflections, Western Teachers and tagged bread, death&life, Edward Espe Brown, How to Cook Your Life, spring. Bookmark the permalink. sounds a lot like painting, the doubt, the “wanting” of good results. yes, to just be with that and not loose heart! and you get to eat your art! This is such a great movie. I have watched it several times which is rare for me. And Espe Brown sows the seeds of contagious enthusiasm for his craft. Beautiful post. I did the same thing Thursday, after watching the movie – needing to nurture and connect with, that which feeds. It was a thought-provoking movie. Enjoyed your post, thank you. Hi Susan! Thank you for dropping by. I find the most powerful practice is when I can connect through something that nourishes others – if it’s food, that’s even better! This gets right to it, at least for me: “great effort is often codependent with great blindness.” Indeed, great blindness can spur the effort! Which is probably why I keep thrashing about…. You may need a seeing-eye chef! So brilliantly written genju. I feel this way about cooking in general! My state of mind greatly changes the state of my food! In cooking i think the distress tolerance is manageable but in life. .. Gosh sometimes I need to go out on walks that last for days! Or just have the feeling pass on its own accord after a long struggle with it!